Whisper staples, Kiley & Candi. Running is a unique sport in that it requires a lot of self-inflicted misery, with the long-term desire of becoming faster. Some people require a bit more patience in this pursuit than others, but in due time, improvement does happens. If you delve deeper into why one would want to join a running program, or any program for that matter, there is reason to believe that most of the desire is rooted in the need for companionship and acceptance, more than the improvement of running itself. An article from the Journal of Social and Personal Relationships on the brains capacity for friendship estimates that the neocortex part of the brain has the volume and capacity for up to 150 friends, 50 good friends, and 1-5 really, really good friends. An article from Psychology Today estimates that it takes approximately 50 hours for friendship bonds to be created, and up to 200 hours for a friendship to enter into the “best friend” classification. From left: Grayson, Michael, Lauren, Maddy, Charlie, Maddy and Abi. 2018 Ultimook Middle School Champions. 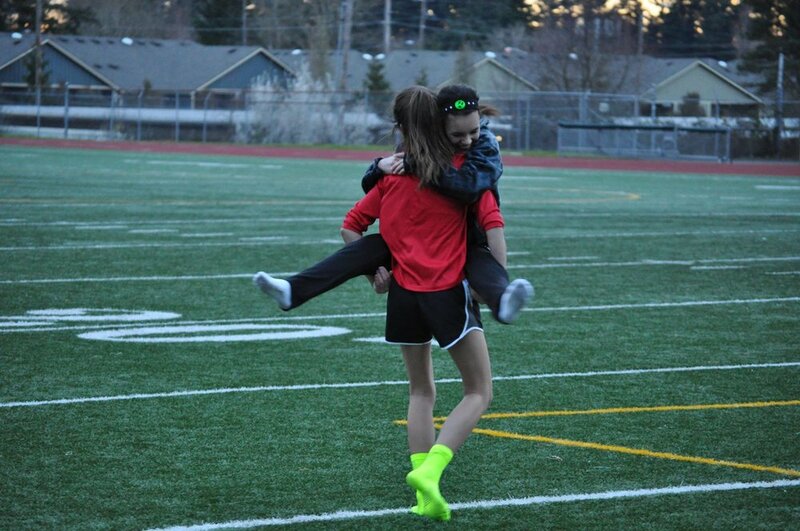 Winter training has approximately 30 and 45 hours of training for high school and middle school runners, respectively. Since most of this time is spent in the trenches, this means any remaining time is spent socializing during the team warm-up, team drills, cool-down, or during cross-training. 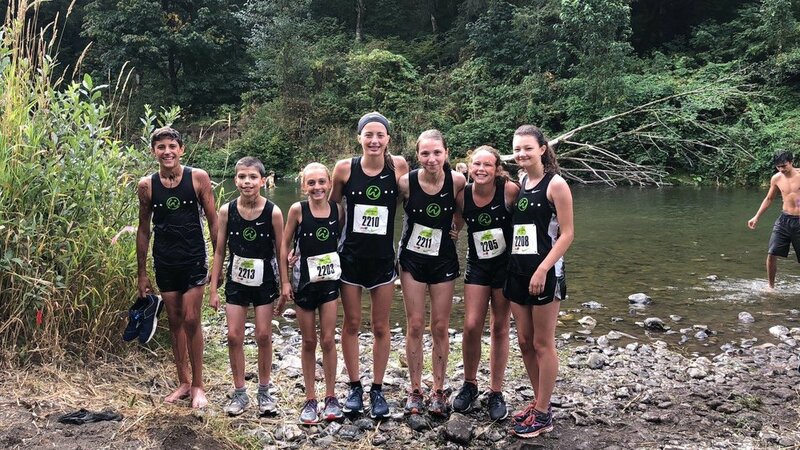 The effort for cultivating a fun, challenging, safe, and stimulating environment for youth runners to train are essential ingredients for relationships to be formed organically. Purposefully teaming children into pairs or groups is solely to promote socializing while training, with the underlying reason of making a friend. If your child needs a friend, it is our goal to help them grow a friend, organically. Please feel free to let Coach Dave know how things are progressing with your child’s emotional growth in the area of friendship, specifically their happiness and their desire for companionship.